I'm a big online shopper. I guess you can even say I was an early adopter of online shopping. When I discovered online shopping it allowed me to improve the efficiency of my shopping technique over the usual approach of browsing from store to store until I found the very best price for whatever it was I was shopping for. The trouble with the brick and mortar store search was that shopping took forever. With online shopping the time I have to spend searching out my deals is reduced exponentially. At least, the time I save seems like an exponential improvement to me. I also appreciate the wider variety of options I can find online and the ease of making pricing comparisons. Occasionally I score a deal I want to share with all of you. My new modular bar is one of those deals. I first saw this modular bar at Pottery Barn. You may have seen it as well. It has been prominently displayed in various Pottery Barn catalogs over the past few years. It can be configured multiple ways and the cabinets can be purchased with glass or solid doors. I checked online today for the current price of the Pottery Barn unit configured like the one in the picture above. 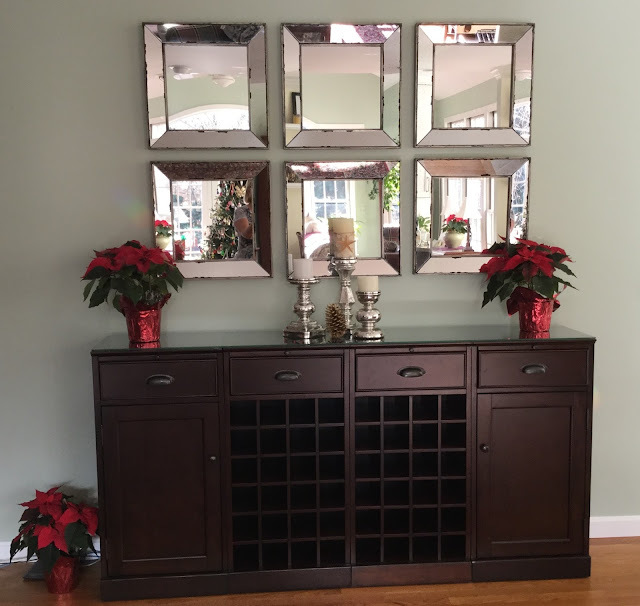 The Pottery Barn modular bar unit is on sale for $1349, with an $80 shipping surcharge that brings the item charge to $1429. Add the standard shipping charge of $160.40, plus 7% sales tax and the total price is $1,689.43. My online shopping search found this modular unit with the same configuration and dimensions at Overstock.com for a total delivered price (including today's 12% coupon discount ) of $1,088.11, a savings of $601.32. Now that's a deal and this is the one I chose to buy. How fabulous is it when you stumble upon a sale!? This is why I like to shop online. You can get price comparisons from different stores and a score of coupons without leaving your couch. Great deal on your bar! You are so right, Diva! Couch shopping is the best!!! !